Martin, J. W. and Davis, G. E. (2001) An Updated Classification of the Recent Crustacea. Horne, D. J. 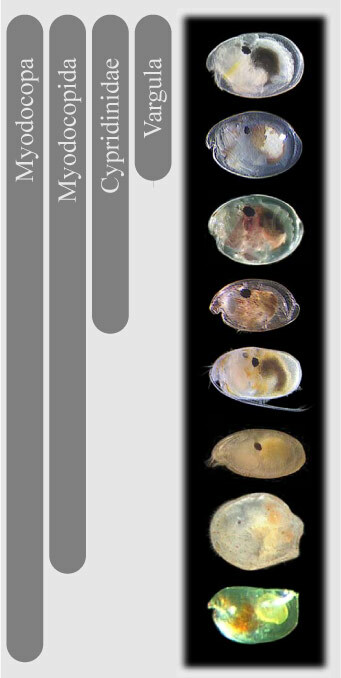 (2005) Homology and homoeomorphy in ostracod limbs. Hydrobiologia 538:55-80. Regier J.C., Shultz J. W., Zwick A., Hussey A., Ball B., Wetzer R., Martin J. W. Cunningham C. W. (2010) Arthropod relationships revealed by phylogenomic analysis of nuclear protein-coding sequences. Nature 463:1079-1083.